Can One’s Body Really “Swallow” a Breast Implant? A few days ago, there were countless headlines and stories in the media about a woman whose breast implant was “swallowed” by her body while doing Pilates. These were in response to a medical report documenting an unusual case that was just published in the Dec. 15th issue of the New England Journal of Medicine. This case report involved a 59 year old woman who had previously undergone a bilateral mastectomy for breast cancer and had reconstruction with breast implants. During a Pilates stretching exercise, her right breast implant … disappeared. Gone in a flash! No external trace. She experienced no symptoms such as pain or shortness of breath. A medical evaluation was performed including obtaining an ultrasound, chest X-ray and CT scan. What was discovered was that her intact breast implant was in her right chest cavity. It had been sucked into it during her stretching exercise. So how did this bizarre situation occur? This was the result of a confluence of issues and factors that together created the “perfect storm” for this rarity. The patient already had weak, flexible ribs. Her implants were not very large. And most importantly and what wasn’t clearly disclosed: she recently had undergone a mitral valve (a heart valve) replacement for a leaky heart valve and the approach used to access the heart was between the same two ribs that the implant slid between. The normal anatomy was disrupted by the surgery and a significant defect remained between these two ribs. Now, add to all of this a stretching maneuver that separated the ribs and created a negative force and, voilà, her breast implant was sucked into the chest cavity. As you can see, the odds of this happening are less than being struck by lightning or winning the lottery. 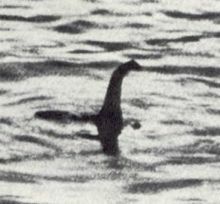 It is about on par with the probability of Obama suddenly becoming an adherent of conservative policies and slightly higher that the likelihood of taking a snapshot of the Loch Ness monster frolicking with its family or eating lunch with the Abominable snowman. There are more important things to worry about in life.